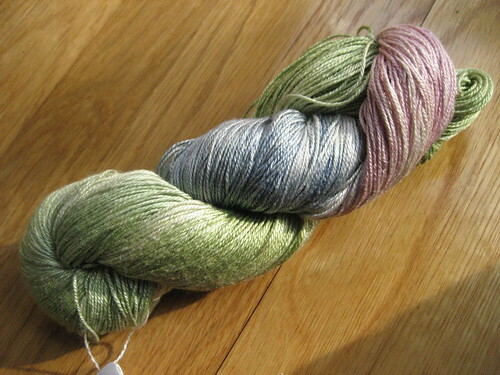 Mmm, the new Flowerbasket is going to be delicious in the Lily Pond Sea Silk. Sadly, I do know about yarn acquisition as a substitute for actual knitting when strapped for time. I thought it was just me. Oh, that's the Toronto colorway, right? I'm glad to see how lovely it looks spun up: I've always liked this colorway, and now that I've had the opportunity to visit the city and loved it so much, it calls my name even louder... Besides, spinning obviously came back to you quite fast, because I really can't see the smallest bit of rust in those singles! I can't wait to see them plied. tell your mom she already took your sanity with her . . .
.... drooool.... So.Much.Lovely.Yummy.Yarn.... can't take it. 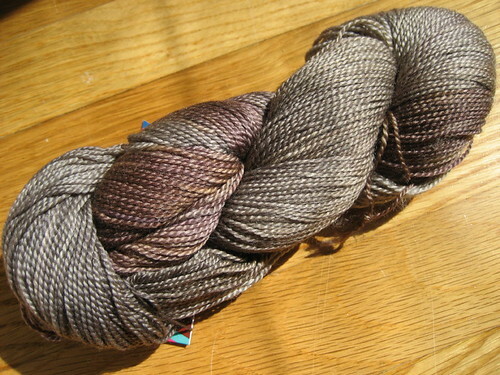 *sigh* why og why did I promise not to buy more yarn until August? Well, I must endure, and the torture myself by looking over your pictures. Really quite wonderful. I'm happy that you managed to pry away you moms fingers, and at least the silk is wonderful to knit with. I'll send a wish for you for some more knitting time. 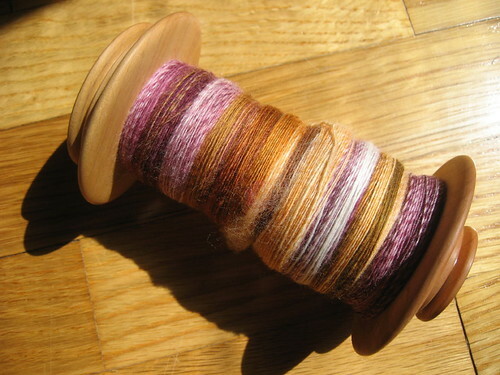 Oh lastly, really nice spinning... I positive that I'm gonna adore the yarn! 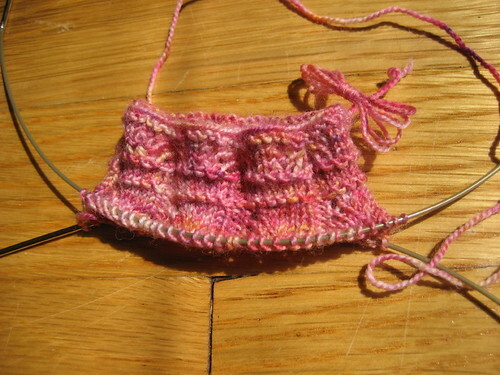 Ah the birth of another sock addict. 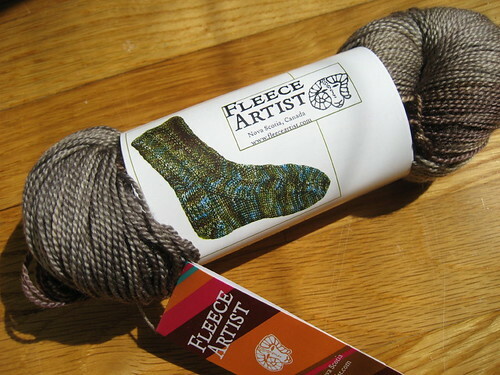 You made some fab yarn choices that'll make amazing socks. Lorna's is still one of my favorites and it wears so nicely over the long term. I'd say it looks like you haven't forgotten a thing! Gorgeous spinning and knitting as always! 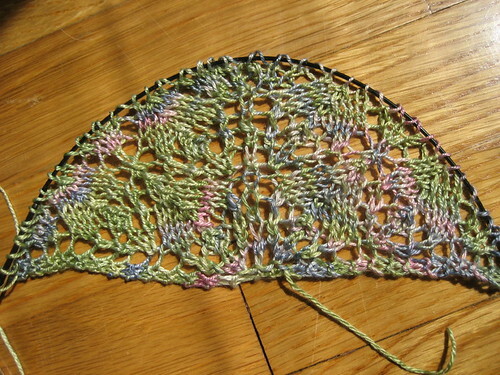 The FB shawl in that Sea Silk is going to look super with the variegation. Your mom will be really happy. Monday, June 11, 2007 3:30 PM by Beth S.
It makes me happy to see you playing with all the lovely sock yarn. Aren't socks the perfect on-the-go, I-just-have-a-few-minutes project? :-) They're all I ever take with me on the commute. Such pretty pretty yarn! Glad you're knitting and spinning again. That SeaSilk looks luscious. Your mom will be happy with that one. I don't believe you forgot a thing. The colors are looking great in the FBS - nice! What a feast for the eyes! Congratulations on all of those excellent purchases. look at you being all productive - i am impressed! 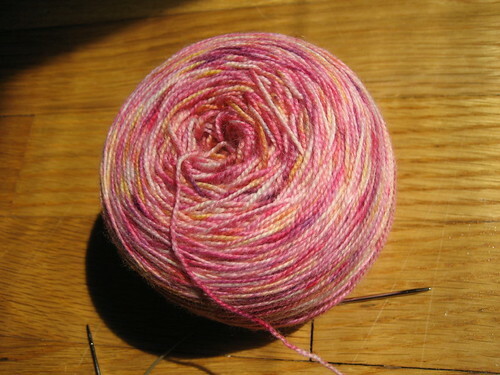 :) that is some great new sock yarn - LL is yummy stuff! lots of nice stash here! Sea Wool is great to knit with! OMG!! All the yarn!! I'm just in awe. They're all so beautiful!! 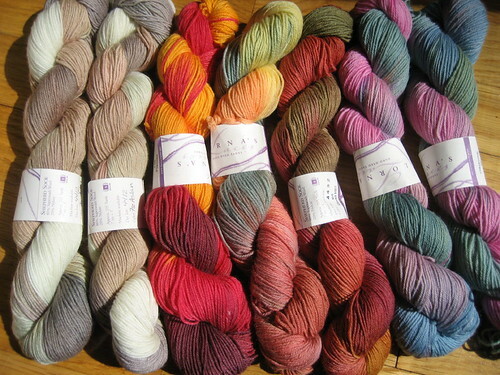 Yes, you've got beaucoup de sock yarn, right on!! that yarn is wonderful! Im off to have a go! Cheers! Goodluck with your knitting!